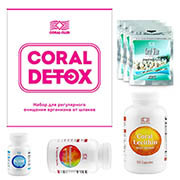 The Coral Club story began in 1997, when Leonid Lapp having been a long term distributor, discovered the coral calcium, called at the time Alka-Mine and named today as Coral-Mine. The idea to form an independent, high quality supplement company was born. Following different agreements and partnerships, Coral Club has grown since 1997 into a leading producer of supplements and promoter of healthy lifestyle for its clients. The company makes use of innovative technology, offering the best quality products with maximised nutritional value in order to be confirmed not only on paper but by it's clients. The product range has been constantly improved and expanded following the constant research by experts around the world. Patrick Flanagan – author of more than 200 patented inventions in medicine and biophysics. The nominee on the Nobel Prize, for Microhydrin. Masaru Emoto — a doctor of alternative medicine, the creator of the world of subtle energy institute in Switzerland, head of research group for a deeper study energic water properties. Christopher Hills – the scientist who has devoted a life to researching Spirulina. Albert Zehr — medical doctor in the field of nutrition, has created a complex purification method of deep cleaning (to the cellular level) which is in complete harmony with the normal functions of the body, named Colo-Vada plus. Coral Club products are made in the U.S., Canada, Sweden and Japan. Coral Club has rapidly increased in the last 20 years, the products have become known and used since then in America, Europe, the Middle and Far East. The company currently has representatives in the USA, Canada, Germany, Bulgaria, Italy, Kazakhstan, Latvia, Lithuania, Moldova, Poland, Romania, Turkey, Ukraine, Czech Republic, Belgium, the Netherlands, Luxembourg, Austria, Denmark, France, Great Britain, Slovenia, Sweden, Ireland, Slovakia, Hungary, Spain, Portugal, Greece, Cyprus, Finland, Russia and other countries. This is all thanks to the successful personal experiences of customers, which confirm the high quality of products and philosophy of health offered by Coral Club. Coral Club has developed and recognised the essential steps for good health of the individual, which has worked for millions of people all over the word. The key points are starting with regulation of water balance in the body, then liberating it from harmful micro-organisms (worms, bacteria, fungus etc. 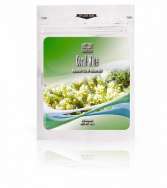 ), followed by a complete detoxification program and finally to replenish the body with essential vitamins and minerals. Coral-Mine is one of the most unique and best-selling products of Coral Club. Coral-Mine drastically changes the water quality, which compared the water we usually consume makes a big difference to our health. 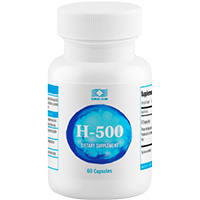 It changes the water structure (shape of the molecules), absorbs the impurities, provides circa 73 easily absorbed minerals, changes the surface tension, improves memory, increases the pH and energy level of water. Anti parasite programs are very successful with customers, who experience improvements in their health after liberation from harmful parasites and micro organisms using our programs. Colo-Vada Plus is a highly effective and safe method of detoxification of the body. It is divided in three phases, preparation, cleaning and recovery, it does not create any inconvenience in the routine daily schedule. 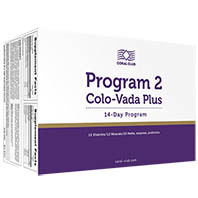 Program Colo-Vada Plus is a simple but effective way to create a healthy internal environment in the body by removing toxins from the digestive tract, the colon and the body as a whole permitting then for the micro and macro elements to be absorbed properly. 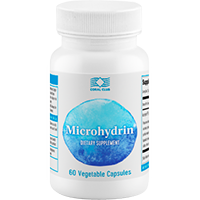 Microhydrin is a powerful antioxidant, which is incomparable with any other antioxidant product in the world, it is a burst of enegy! This product was nominated for the Nobel Prize by Patrick Flanagan. Coral Club provides a wide range of products for people who are interested in healthy lifestyle, restoring or maintaining their health, for people involved professionally in sport, interested in weight loss or gain muscular mass, increase of energy level or to strengthen immunity. Many other products are designed and produced to satisfy members requirements. If you wish to know more, please feel free to contact us. We are a great team of people who share the common interest of the healthy well-being of an individual and we will be happy to share our knowledge with you. Welcome to Coral Club United Kingdom, England, Northem Ireland, Wales, Scotland! 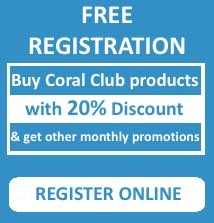 This website is not an official site of the Company Coral Club. The official website of Coral Club is located at coral-club.